A Tank Top is the perfect summertime companion. 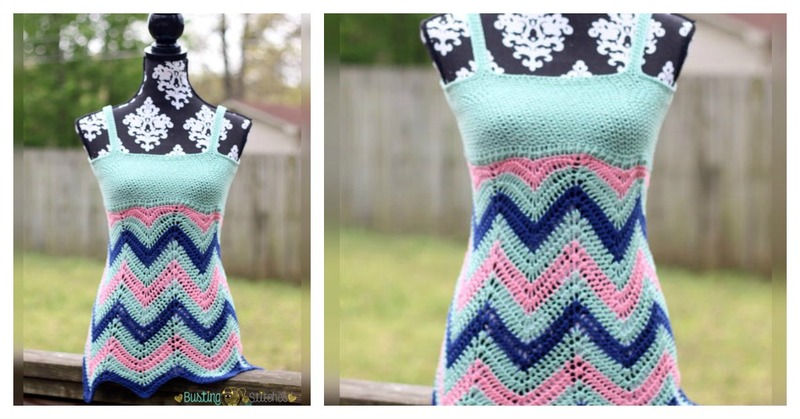 This Women’s Chevron Tank Top Free Crochet Pattern looks so feminine and chic. It’s very flattering to the body, it follows the shape of your waistline and your body contour. It is just the thing to pair with jeans or shorts. It even looks good worn under a light fall jacket. This pattern uses the ever popular ripple stitch, giving it the famed chevron look. The instructions are really easy to follow and the repetitive pattern makes it great for beginners who are just starting out making clothing. The colours work really well together. It comes in sizes from xs to 3x. This shirt could easily be made longer to make a dress. Happy crocheting.